This elegant ball gown has more elegance than you can imagine. The spaghetti straps and the deep-plunging neckline look exceptional. 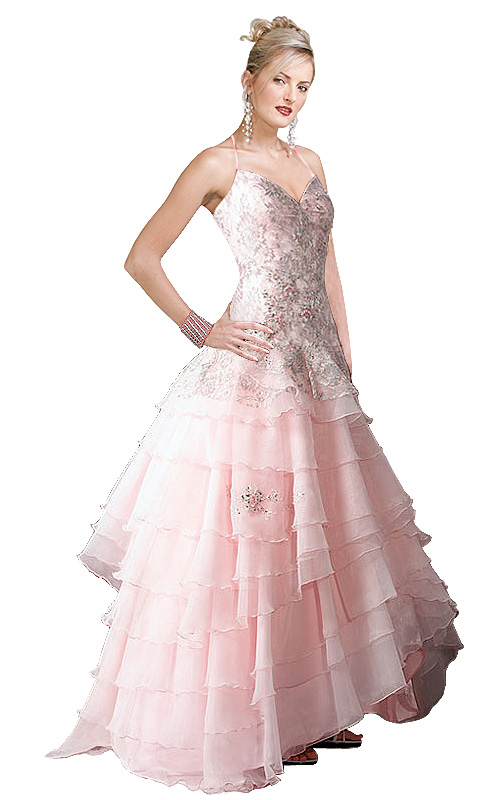 To add to it is the embroidered bodice which is a corset and the skirt which has feathered layers and looks flared.